Senior High Retreat is held annually at the Wesley Retreat Center in Woodworth LA and invites youth in 9th-12th grades to come together and celebrate their love for Christ. Youth pray together, worship together and reflect on God's grace in their lives. Senior High Retreat is organized by Conference Council on Youth Ministries and led by young people who want to be used for making disciples. 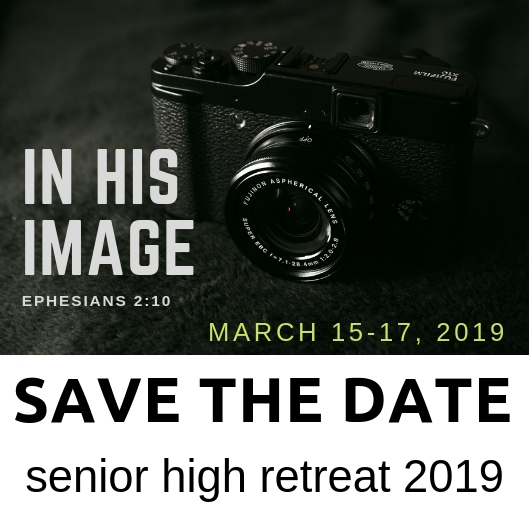 Senior High Retreat 2019 will be held March 15th - 17th. Online registration is now opened!